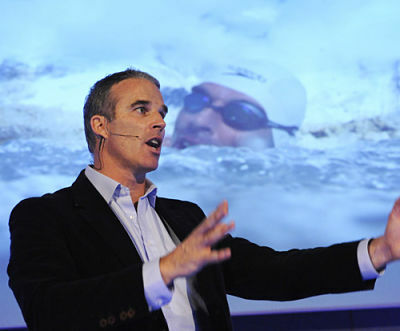 The amazing Lewis Pugh can speak at your event! As a booking agent for Lewis Pugh, we can arrange for him to entertain your guests. The only person to have completed a long-distance swim in every ocean, extreme adventurer and record-breaking swimmer Lewis Pugh talks about pushing yourself beyond ‘the possible’ into new realms of achievement. As a motivational and keynote speaker, Lewis Pugh puts businesses at every level worldwide through their paces with vital messages and strategies for surviving and thriving in a fragile economic climate. To be the first human to swim across the Arctic waters (a mean minus 1.7°C!) requires a shift in mind-set when dealing with a dramatic drop in body temperature and the dangers of killer sea-animals: one must conjure up and maintain a constant focus and flexibility-crucial elements of business management. 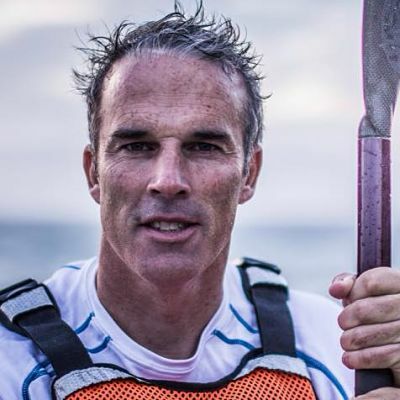 Lewis Pugh has lived through the repercussions of change and their contributing factors and, a passionate voice for conservation, has been busy honing his front crawl technique in vulnerable ecosystems to raise awareness about their plight. For example, in 2010, Lewis Pugh completed a swim across a glacial lake on Mount Everest to draw attention to the melting glaciers in the Himalayas and the impact the reduced water supply will have on peace in the region. He has now pioneered more swims around famous landmarks than any other swimmer in history! Teamwork is also vital to the success of his exploits. Lauded as a Young Global Leader by the World Economic Forum, Lewis’ influence and endurance was enabled by those around him. Lewis Pugh’s crack teams are always made of those completely committed to excellence and leaders in their field. Through his adventures, he dreams of making a significant difference. 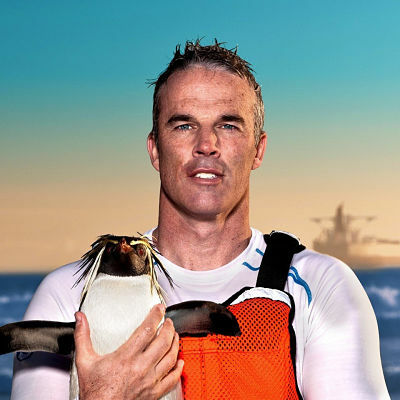 In 2015, Lewis Pugh undertook five swims in Antarctica to campaign for a large Marine Protected Area in the Ross Sea – one of the most incredible and diverse areas left on earth – which is now threatened by overfishing and climate change. The media have dubbed his efforts as ‘Speedo diplomacy’. One of Lewis’ keynote speeches on leadership was voted one of the ‘7 Most Inspiring Videos on the Web’, and TED have described him as a ‘master story-teller’. He has also appeared on various international TV news channels, and his autobiography ‘Achieving the Impossible’ was selected for Oprah’s Exclusive Book List. Along with the Freedom of the City of London, Lewis Pugh has been bestowed with South Africa and France’s highest honours. Contraband is the UK’s top booking agent, with helpful, knowledgeable account managers who guarantee you the best deal possible. Contact us today if you would like to book Lewis Pugh to be the headline of your event! We as your booking agent are more than happy to help you create the most memorable moments with Lewis Pugh. You have a very special gift. Not many people can speak to a group of world leaders like you did – with so much authority and passion. I could have heard a pin drop.